A few weeks ago London suffered moral, social and economic damage on a scale that no one had anticipated. Shops burnt, businesses ruined, lives taken and all for what? Some explained that it was a political movement as smashed glass covering the streets of London was symbolic of the broken promises from politicians to the electorate. However, how can one possibly justify looting? The young have been described as the ‘angry youth’ though what are we angry about? The unlawful taking of laptops, flat screen TVs and trainers does not translate into a political movement. Therefore, the first generalisation we have to clear up is that it was not an issue of the young rioting just because we are young and have not got the ability to reason rationally. Then what was it? 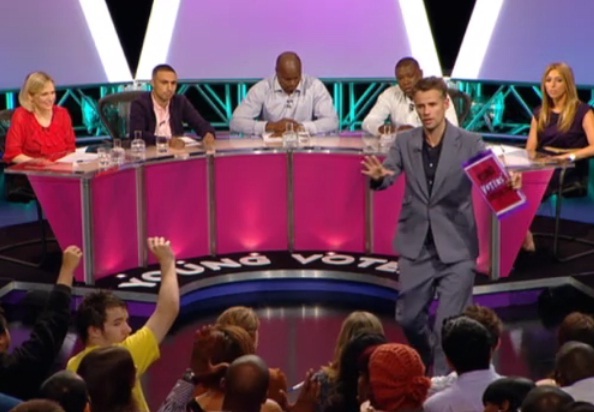 To find out, BBC 3 presented us with The Young Voters’ Question Time shortly after the riots. Lina Jovaisaite and Tizane Navea Rogers investigate. With many questions surrounding the Riots, left unanswered, Young Voter’s Question Time was an opportunity for young people to have their opinions and questions heard. 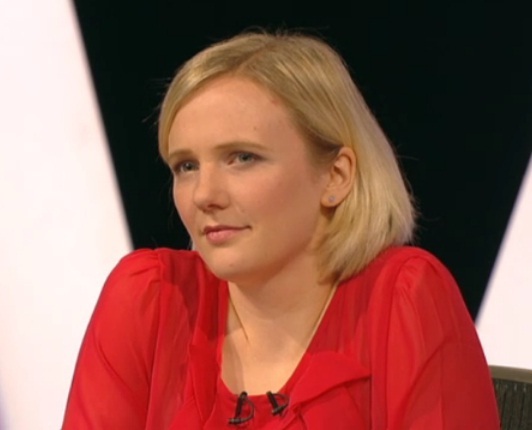 Many of you may have heard of Question Time, presented by David Dimbleby, so its cousin show Young Voter’s QT isn’t too different in its concept – a chance for heated debate with various contributions from the audience. Our initial thoughts were that we would all go straight into the studio, but before the show started we all waited in a room where we could get to know each other and mingle a little. Already it was evident we were in for a lively show, through meeting very passionate young people with at times very contrasting views. Having never been in a Television Studio, let alone the BBC Centre in White City, it was quite fascinating seeing all the cameras whizzing around the place and men and women scuttling around speed talking in hushed whispers. After a few jokes and messing around in the panel area (with permission of course! ), we finally met our panel and presenter, after which our fairly nervous looking presenter, Richard Bacon opened the show, already commenting on how we were going to make for a lively lot. He was right! persistently tried to discuss issues around the topic rather than the riot itself. For him, the riots did not hold as much significance as other matters such as crime, teenage pregnancy and the loss of young lives in London. The “gang member turned government advisor” exclaimed that “shops can be rebuilt, you can’t rebuild a dead body” which whilst a fair argument seemed rather unpleasant to mention in front of the family who owned the House of Reeves, the furniture store that sadly burnt down in Croydon. 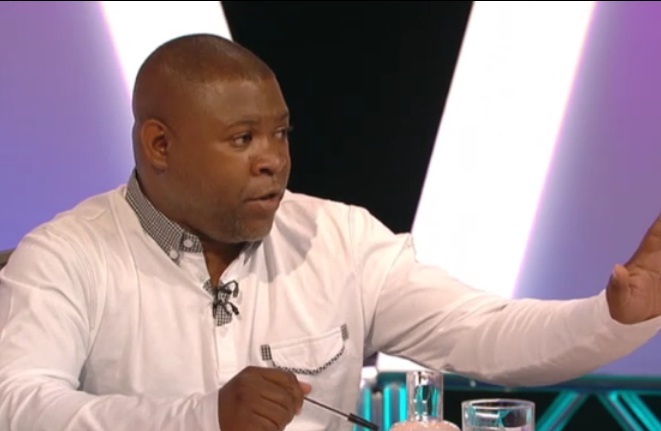 The TV presenter made famous via the Apprentice, Kate Walsh, suggested to Mr Thomas that “We are here to talk about the rioting” though seemed a little voiceless for the rest of the show. Adam Deacon, the star of “Kidalthood”, “Adulthood” and “Anuvahood” implied that the media should be blamed for our ‘greedy society’ as Kate earlier described it. Sean Bailey, also a youth worker as well as the government’s ambassador for the Big Society suggested that the Big Society to him “…means responsibility.” Overall the panel seemed to blend in with the audience since they contributed to the debate on the same level as the members of the audience without any sense of superiority or authority. It made us think: should the panel have been made of young people? To start with, many argued that rioters were poor and committed these crimes through the frustration of not having opportunities, the first question, which went along the lines of ‘how can we call these people poor if they are organising the riots through their hundred pound blackberry’s?’ played an important role in the discussion, as throughout the debate various people mentioned how young people today are lacking in opportunities and that there are no jobs with Stella Creasy concluding that there is a lot of talent and a lot of energy therefore jobs need to go out to those 50,000 young people who are unemployed. An issue that had not been brought up during the week but will be pivotal when hundreds of rioters are charged, was raised when someone asked ‘When MP’s apologized for claiming expenses fraudulently they were forgiven, when bankers broke our economy, they were given bonuses. Why should teenagers be made homeless for stealing a pair of trainers?”. This was followed by the background story that a family of a child who had stolen shoes, was evicted to which Government Ambassador, Shaun Bailey stated “Clearly that’s wrong… because it’s about proportionality isn’t it?… throwing them out isn’t going to fix anything”. Adam Deacon also said “…everyone deserves a second chance, that has to go back to young people as well”. He later argued that the police could have stopped the riots arguing that ‘When it started in Hackney, the police watched it happen, I did not see any police. That was sending a message to all the young people around the country, ‘look, there’s free stuff, go out there and do it’”. To which TV Presenter Kate Walsh concluded, at the end of the show, that “The police cannot be cut”. Later questions surrounded the topics of parenting and assurances for those whose businesses were destroyed, that violence on this scale would never happen again. 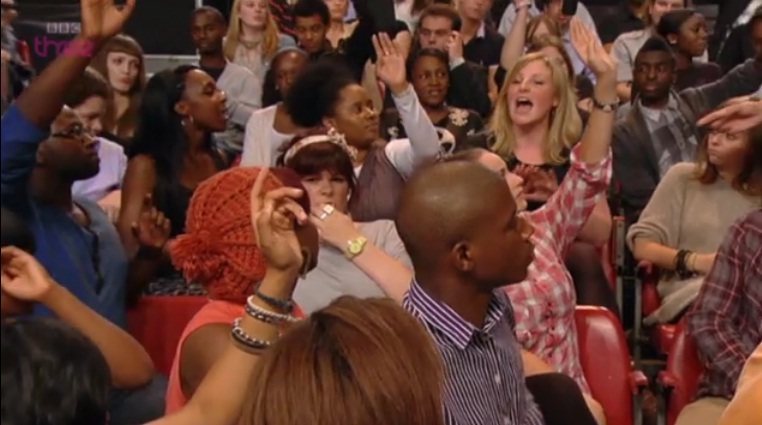 The topic around parenting proved to be a hot topic, with members of the audience arguing that it’s not surprising that these rioters feel no support, seeing the way some treat their kids. Teenage pregnancy was also discussed, in depth, in relation to parenting. Towards the end everyone was shouting over each other trying to get their point heard, with last comments that the riots were mainly because of boredom, others presenting rebuttals, saying there are much deeper issues at hand. A member of the audience put succinctly “We should condemn the criminals but confront the social issues”. After an hour of shouting and arguments Richard Bacon concluded saying ‘That was pretty much as rowdy as we thought it would be’. With a series of massive generalisations made and some fair points raised, the camera crew seemed to have had enough of us. Once the cameras stopped rolling we were asked to leave as soon as possible without being given the chance to talk to the panel personally. Outside the BBC Studios the debates were still alive and spreading. 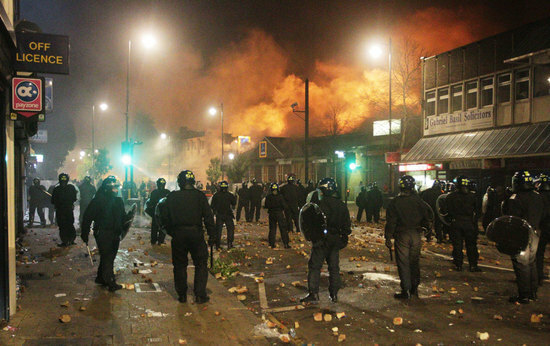 The show failed to deliver a clear and succinct answer about why the riots took place. Some were arguing it was as a result of people living in poverty, a product of fractured families or in fact, the government’s failure to listen to young people. This show proved that the issue of rioting is not black and white and whilst everyone held their own truths of why they took place, the upside is that some very interesting and important social issues were brought to light. Want to watch Young Voters’ Question Time? You can here. This article was written by Lina Jovaisaite and Tizane Navea Rogers, Think Act Vote’s summer interns. They have spent August working on our Futures Interview feature. You can take part in this exciting new feature by sharing The Future You Choose and your ways to Think, Act and Vote to create it, we would love to hear from you. For ideas and inspiration from two young Londoners read Lina and Tizane’s Futures Interviews.